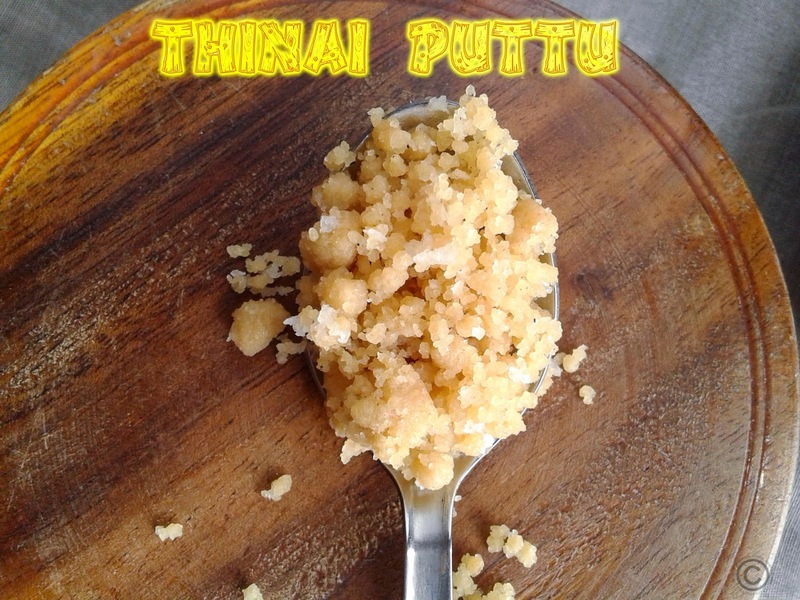 Puttu is traditional breakfast recipe in TamilNadu and Kerala. 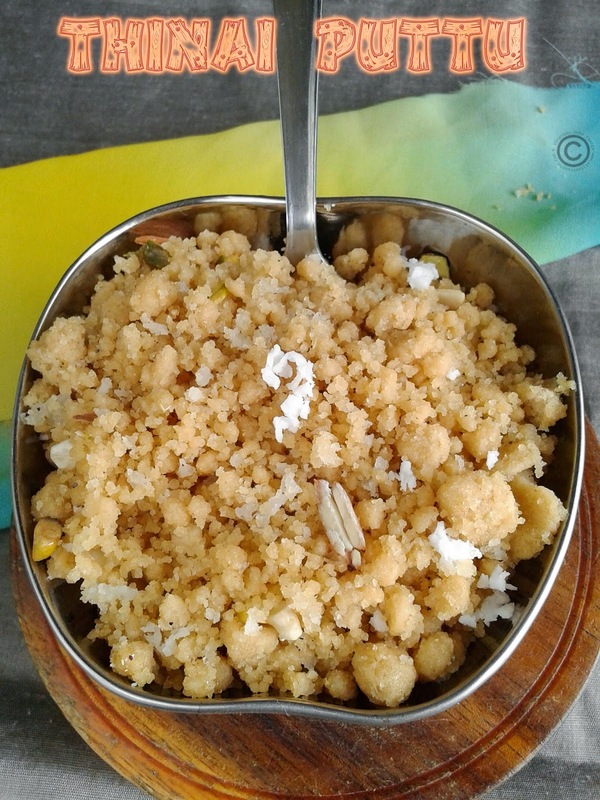 Coconut puttu, Rice puttu, Kuzha puttu, Dal puttu are all varieties of puttu. Steamed food is very healthy and easy to make the recipe. 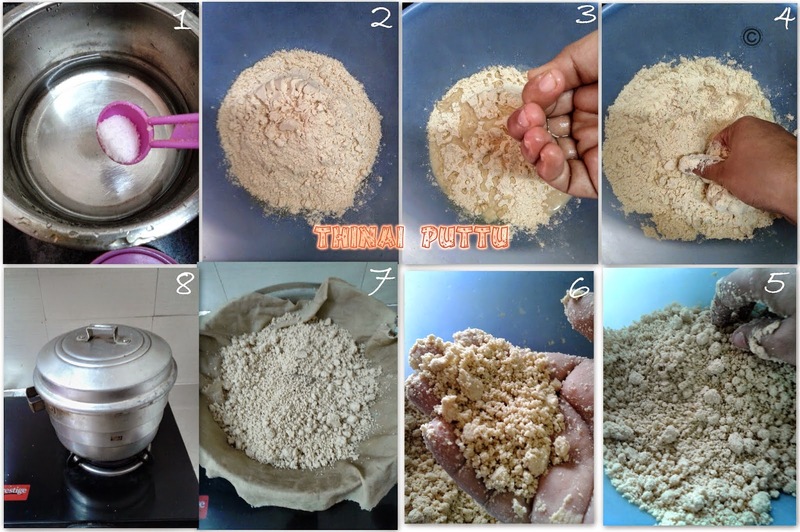 Puttu is my all-time favourite and still my grandma used to bring puttu every month to us. 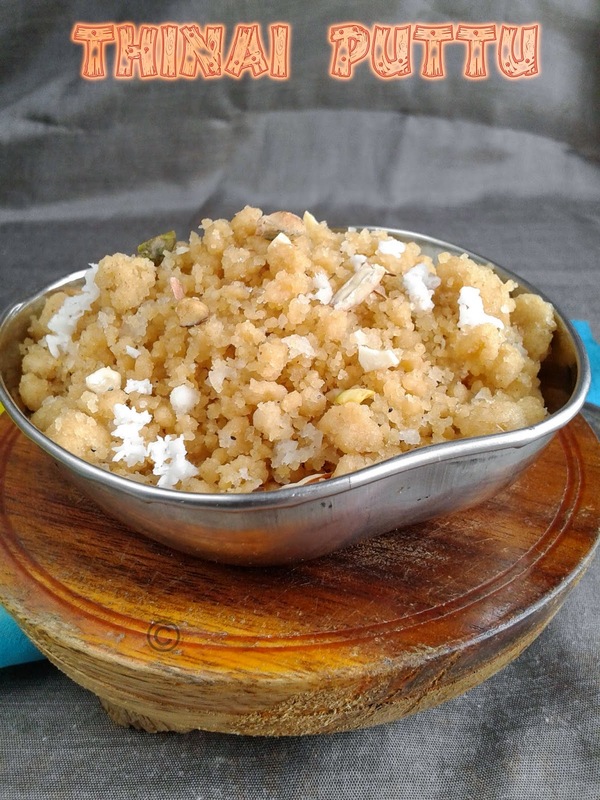 Flavour with coconut and sugar with dash of ghee or sesame oil will be awesome in taste. 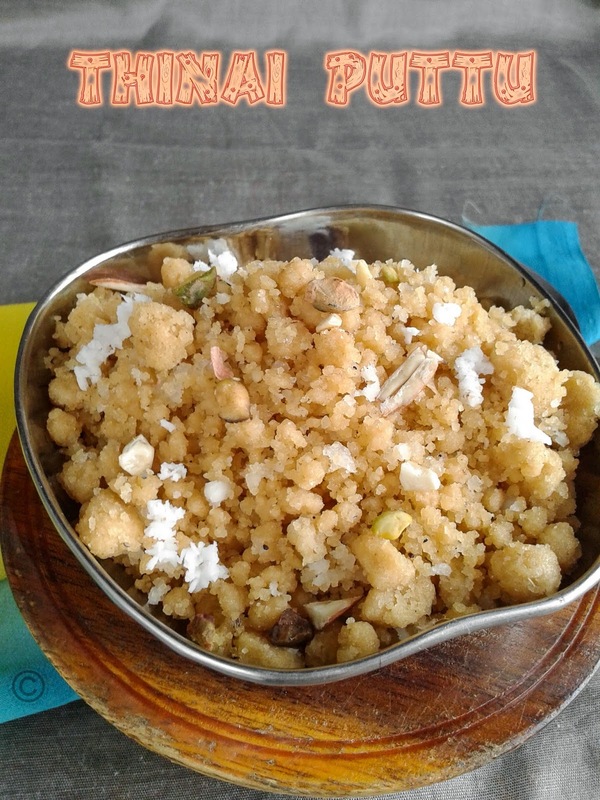 I already shared Arisi puttu and Paruppu puttu and now I tried it with my favourite millet thinai flour. It came out really well in texture and taste, its so soft while having hot. Sesame oil – 2 Tbsp. Boil the water with require salt and take the flour in wide bowl. Now add the boiled water little by little to the flour and mix it well using wooden ladle. It should be like crumble not like dough, so add water little by little. Now take some flour in your hand and press it with your fingers, and the shape should be firm; it should not break down while leaving fingers. It is the correct consistency and keeps ready the steamer or idli cooker. 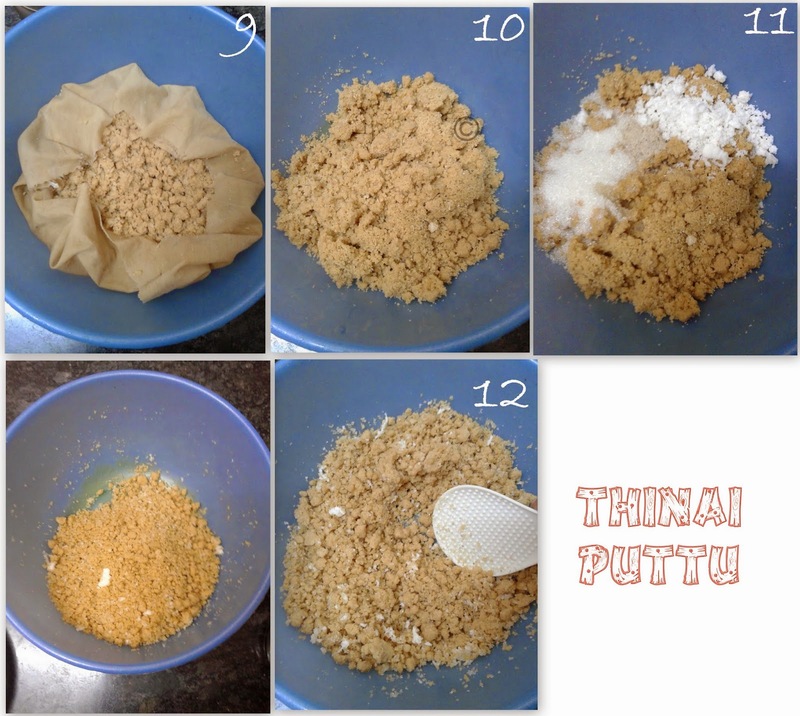 Put towel, and add the thinai flour to it and steam it for 15-18 minutes. Then transfer steamed puttu into a wide mixing bowl. Now add coconut, cardamom powder, sugar and oil in it and mix it well. you can add ghee roasted cashew nuts, raisins with 1 Tbsp of ghee instead of adding oil. Add powder jaggery instead of sugar. 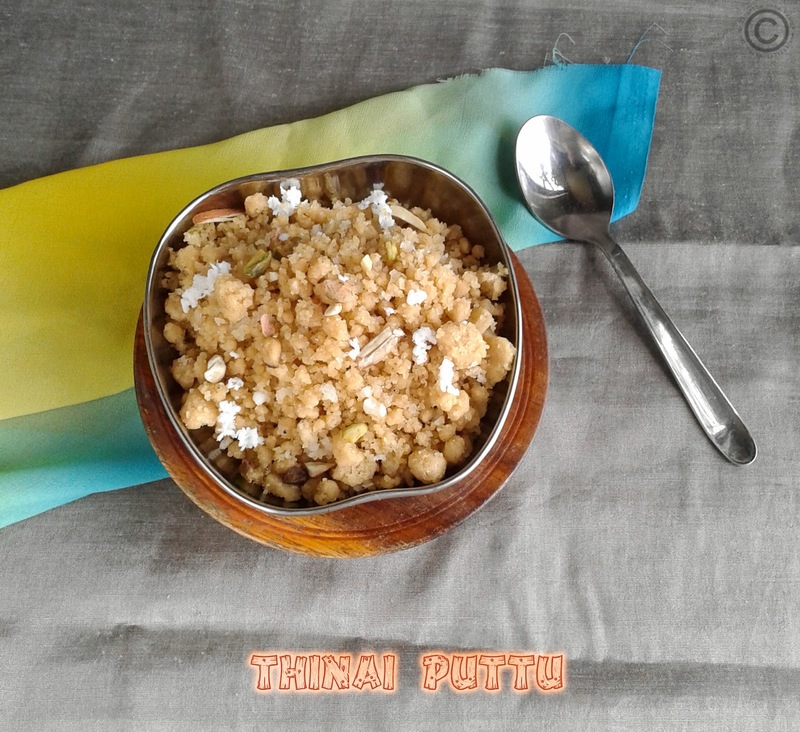 Oru bowl puttu ippove venume, delicious puttu dear.